This unit goes well beyond the basic "What is a verb?" question. 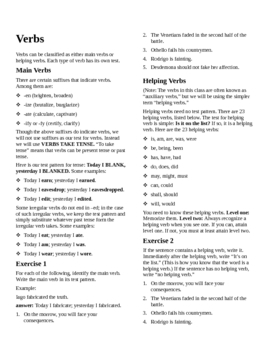 It covers verb suffixes, main and helping verbs, active and passive verbs, vivid verbs, the verb "to be," expletives, personifying the inanimate, consistent verb tense, the subjunctive mood, infinitives, participles, gerunds, adverbs within verbs, verb phrases. 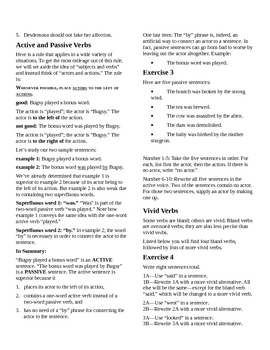 Included in the unit is a 10-page handout containing 18 exercises, with an answer key; a Verbs Test, with an answer key; and a review page.